Single location in the municipality Enkirch (area Bernkastel) in the German growing area Moselle, The original name comes from the fact that the vineyard was created from 1841 to 1846 with countless dynamite explosives to achieve the best slope and orientation to the sun. This was done by initiative of Carl August Immich, who owned the winery Immich-Batterieberg whose sole possession the situation is still today. At the carried out in 1868 Prussian layer classification were plots classified in the highest class. 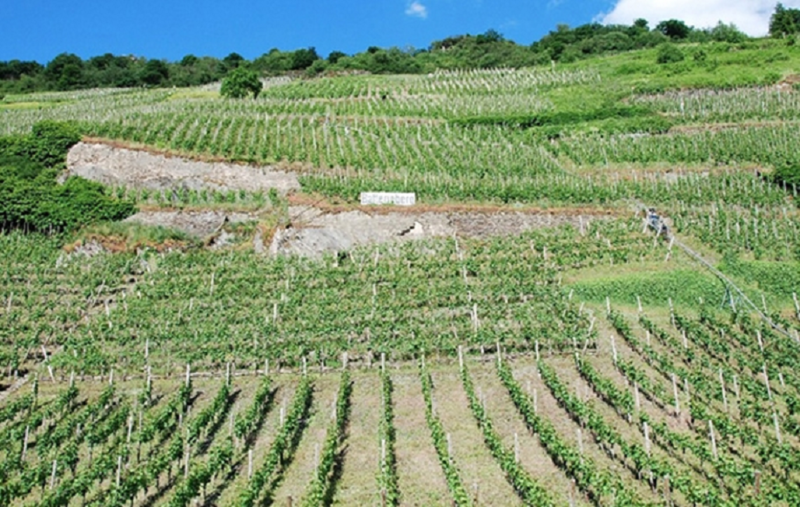 The west to southwest aligned vineyard with 20 to 60% slope Tilt covers only one hectare of vines on rocky Tonschieferverwitterungsboden with partly clay inclusions. Here is only the variety Riesling in root realMosel pile education cultured. This page was last modified at 6 April 2019 at 07:40.